Welcome to my website. I am a qualified and experienced freelance Makeup Artist based in Dorchester, Dorset. I am a flexible and adaptable Makeup Artist and I offer a relaxed, professional and friendly Makeup service and I will work with you to understand and create a Makeup look that is right for you. Whether it is for Makeup for your wedding, a party, a prom, fancy dress, film and TV work, advertising or photographic work. Being central to Dorset, I am willing to travel to all areas be it in your own home, on location or in a studio. 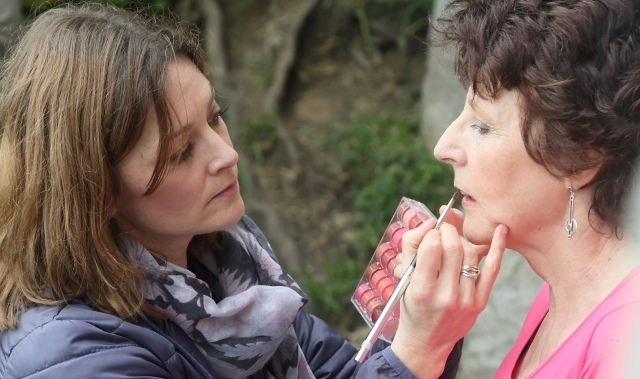 I am a qualified Makeup Artist based in Dorchester, Dorset with experience in all aspects of Makeup including Bridal Makeup, Special Effects, Special Occasions, Editorial and TV and filming. As an all round makeup artist who was taught by industry professionals at the prestigious Delamar Academy of Makeup London, I am approachable, reliable and professional and I am dedicated to every client and job whether it is wedding day preparations or working as part of a team on a film set. I am an experienced Bridal Makeup Artist working regularly in and around central Dorset, including Weymouth, Dorchester, Bridport and the surrounding areas. I’m happy to travel further afield as well as abroad. Whether you prefer a natural makeup look for your wedding or something a little more I will ensure it meets your expectations, looks great in your photographs and also lasts into the day and night. My training at the Delamar Academy meant that I was lucky enough to be trained by the best in special effects as well as filming in television and the big screen. I understand continuity, on set etiquette as well as the need for integrity and discretion. I was the makeup designer and makeup artist for student film Brothers in Arms with other experience in ITV series Broadchurch and films And Then I was French and The Time of Their Lives. I have also worked on many editorial photoshoots with various clients and photographers, including pieces for the Daily Mail, Bridal magazines and promotional work.